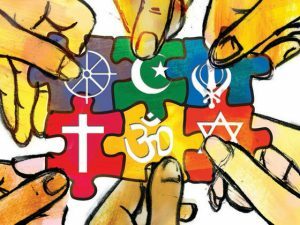 India: An exuberance of religious co-existence to the World. 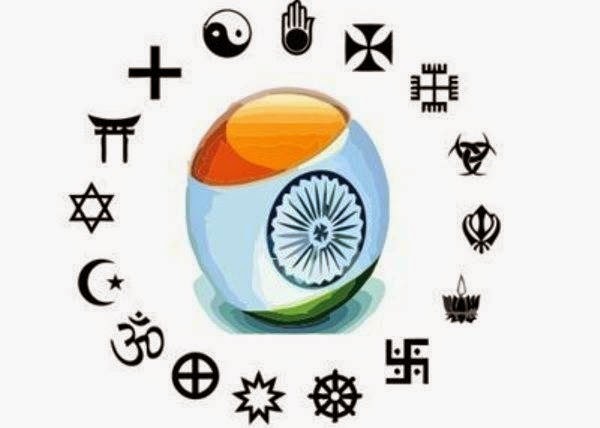 India is constitutionally a secular nation, as it does not have any specific state religion and all the religions in the country are revered equally. Although the root cause of India’s partition was religion, the country today stands as a land of religious harmony, where historically every religion has got rejuvenated and even revived from the verge of extinction. Whether it be the Parsis, the follower of Zoroastrianism or the Jews, who had borne the brunt of persecution, finding solace at the time peril is a testament of India’s religious tolerance and acceptance. India has repeatedly resurrected after suffering rampages from alien invasions of different religious orientation; starting from Alexander to the Mughals. The Hindus constituting the largest share of population in the country are regarded as majority while the rest are classified as minority. 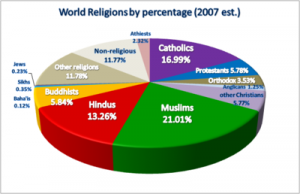 All the religions, except Hinduism are bracketed as religious minority without computing the proportionality of the populations. The tiniest of all are the Iranian descendent; Parsis, who can even be numbered, remain out of the political discourses in India. So are the Jews, whose antecedents still remain a nightmare. If the religious minorities are enumerated, the Sikhs, Buddhists, Jains, Christians and Muslims make it to the list. The only religious minority that remains an issue of deliberation is Muslims. India has one of the largest populations of Muslims in the world, despite being the minority in India. If the ratio of religious minorities is evaluated in the neighbouring countries of India, it is demonstrated that the population of the religious minorities have dwindled owing to religious persecution at the hand of extremist. The same scenario is almost contrasted in India, where religious minority has grown exponentially. The welfarism is in fact ingrained in the governance of the Country, which is proven with institutionalism of Ministry of Minority Affairs for focused approached to the notified minorities of India. India also has the largest denominations of Christianity in the world, and in some states of India their population proportionality exceeds the national majority. India is a likely example for countries to practice tolerance amongst various re ligions and to have people co-exist peacefully. It is not a wonder therefore, that the country has a rich and vibrant culture that is exemplified through the prevalent food, clothing, rituals, artwork, handicrafts,literature and festivals.